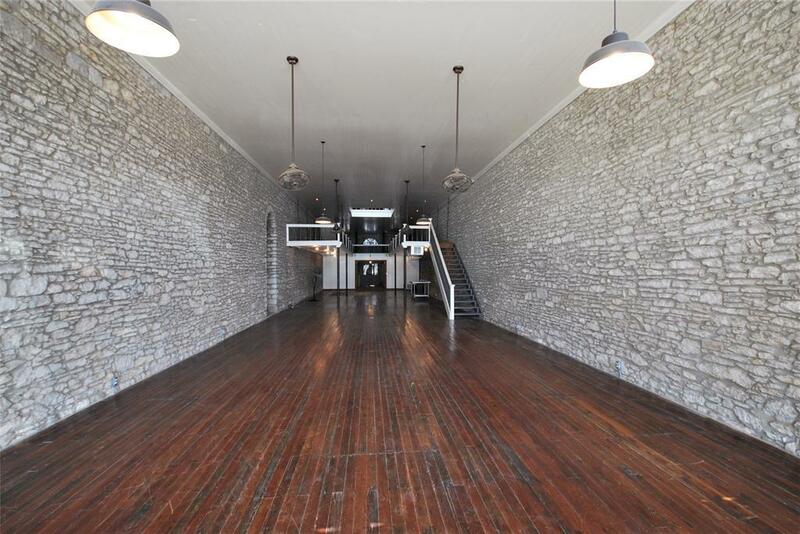 Dressing the building are the beautiful hardwood floors and stacked stone main walls. 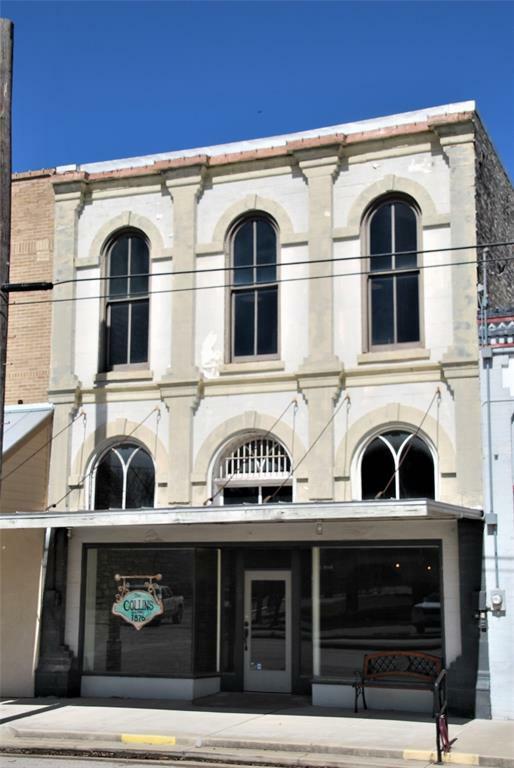 The stone was quarried locally in 1881 the birth date of the building, per historical district. Tasteful, industrial lighting, ceiling fans and pressed tin ceiling completes the stand back in time look and feel. Main updates and repairs were completed less than 10 years ago. One of the primary updates was the "repointing of the masonry between the stone. The large arched showcase windows on the front grace the entrance. The back doors and windows have original steel shutters. 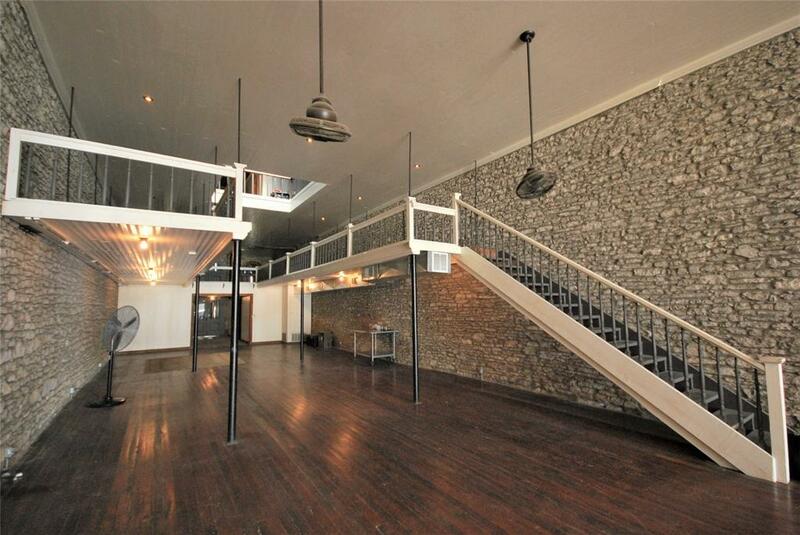 The mezzanine floor divides the 1st and 2nd floor. The 2nd floor has a skylight which adds to the natural lighting brought in by the large front windows. 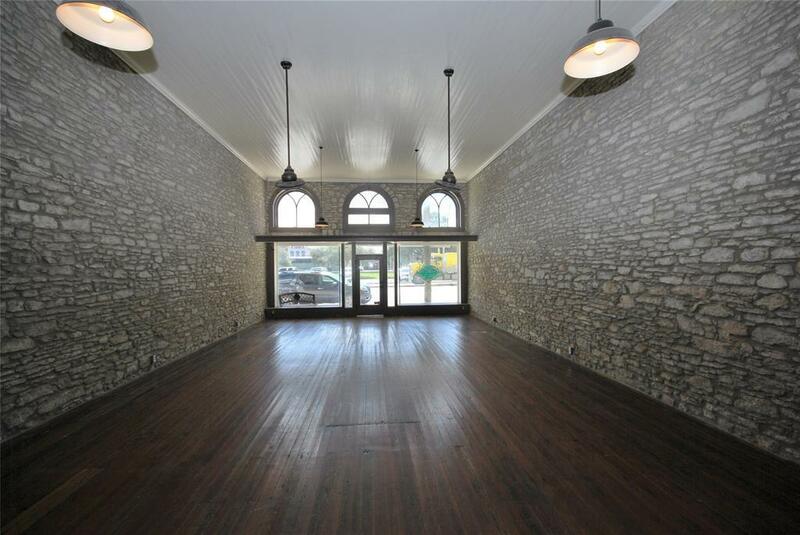 This extraordinary value per square foot and the condition of the building will have you spinning with entrepreneur ideas. The 1st floor has a 5-ton heating and cooling. Owner has a second 5-ton unit, not installed but will convey to compete the 2nd floor heating and cooling.